What’s ON? As part of the Fish & Ships Festival, the Seafood Trail brings together a selection of the finest seafood establishments Whitby has to offer from traditional Fish & Chips to freshly caught crab, lobster and shellfish. Each of the restaurants and café’s involved will be serving up a special festival dish that will be on offer during the festival and through the following week. The historic fishing town of Whitby has a long and proud connection to the sea and for generations, the fishing boats of Whitby have returned to harbour, under the watchful gaze of Whitby Abbey. This deep connection is reflected in the high standard and fine variety of seafood on offer which has made Whitby renowned throughout the world. We hope you enjoy your time in Whitby and sample some of the amazing food that Whitby has to offer. SATURDAY 18th-SUNDAY 19th May Fish Market on Pier Road Over the festival weekend Fish Quay, on Pier Road will see a range of demonstrations by local fishermen, fishmongers and chefs. Within the fish market they will be showcasing their fish craft skills such as fish filleting demo’s and crab dressing, whilst on the pier you can witness the talents required for net mending and lobster pot mending. Look out for the specially designed artwork on the fish market shutters, especially designed by art students at Caedmon and Eskdale Schools. Whitby Abbey A great opportunity to come and enjoy the new facilities and interpretation on site after an investment of £1.6m. Take on the Ammonite quest and learn about how the Headland changed over the centuries and how it inspired so many different artists. Free Entry to YO21, YO22, TS13 with proof of address (e.g. council tax bill). The English Companions will also be present in the grounds to talk about everything Anglo-Saxon, from diet to ships and of course the Synod of Whitby. The Endeavour Experience & Captain Cook Memorial Museum The Captain Cook and Endeavour Experience will take a look at sailors’ rations, preserving food, pests on board ship, nutrition and the problem of scurvy. There will also be demonstrations of how to make real ships biscuits. On board the replica HM Bark Endeavour discover just how disgusting ship’s food was and find out about life at sea! Normal admission charges apply. Special Exhibition!–!Fish on Ships! Saturday 11th!–!Sunday 26th May This exhibition takes a look at the colourful sketches of fish, made on the three Cook voyages and explores their significance and importance. Parkol Shipyard Go behind the scenes at one of the UK’s most successful boat-builders, Parkol Marine Engineering to see a fishing trawler being built, a 24mtr vessel that will carry a crew of 8-10 people out to sea: explore the working yard and dry dock, and meet some of the team. Local artists Katie Ventress and Kate Smith will also be displaying works inspired by the sea in Parkol’s boat-yard on the afternoon of 18th May. Whitby Library There’s a chance to make aqua-world movies ‘Wallace & Gromit’ style with Aardman animator Virpi Kettu in Whitby Library on 18th May, 10am!–!12pm and 1!–!3pm (in half-hour drop-in workshops). Local artist Serena Partridge will be showing visitors how to cook up a felted fish supper and how to sail the seas in flip-book animation. The library will also have a display from our Archive Explorer volunteers in partnership with County Record Office and talks by local fishermen. Pannett Art Gallery Post Digital Knit, an installation by Dr Elizabeth Gaston and Dr Jane Scott, will be displayed at Pannett Art Gallery, 4 May!–!12 June 2019. The exhibition includes designs exploring the art and science of knitting. Join Dr Liz Gaston on Saturday 18th May for a drop in workshop. In the run up to and throughout the weekend of Fish & Ships visitors to the gallery will be invited to create origami (folded paper) sculptures using a variety of techniques to create a flotilla of boats and a shoal of fish. Whitby Museum Calling Lego engineers and budding shipbuilders! Create a maritime masterpiece in Whitby’s Lego Shipbuilding Competition on 18th May (1!–!4pm) at Whitby Museum (for children aged 12 and under only!) Discover more about the amazing lady$–$Dora Walker, who was the only woman skipper to hold her licence in the North Sea throughout WW2. During the Fish & Ships Festival Whitby Museum will have a special exhibition in the Normanby Room dedicated to her and her remarkable achievements. Music Enjoy over 40 hours of free, live maritime music, including sea shanties and soulful sailor’s ballads, with some of the UK’s top sea-singers and musicians performing throughout the town. Visitors will also get the chance to see the winner of the festival’s ‘Song for the Sea’ competition on the main stage during Sunday afternoon’s finale gig. Dancing is highly encouraged! 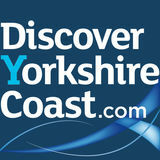 See www.discoveryorkshirecoast.com/fishandships19 for the full exciting programme. Film Screening The archive film of Whitby’s herring fishing and curing industry made in the early 1950’s will be shown on 40” in the Seafood Marquee between the cookery demonstrations, and also in the Whitby Museum on Saturday 10pm!–!12pm and Sunday 10am!–!3.30pm. Festival Sculpture Look out for a special life size sculpture by Yorkshire artist Emma Stothard. Emma, who’s work is in demand across the globe, will be displaying a new work, entitled ‘A Whitby Fisher Lass’. The sculpture will be on display on the east side at Tate Hill Pier. Ships Ahoy! Step on board North Eastern Guardian III for free tours, an agile 26 metre, state-of-the-art craft deployed as a fisheries patrol vessel and research vessel. Local fisherman, Andrew Leadley will be landing his trawler, Success 111 into Whitby harbour for the Fish & Ships Festival on Saturday afternoon (approximately 2pm). See the recently refurbished traditional fishing coble the ‘Julie B’ docked on Endeavour Wharf. Other Children’s Entertainment Look out for ‘Flotsam and Jetsam’, two wandering explorers bringing their boat bound journey onto land as they attempt to navigate their hapless way around the streets of Whitby. Come face to face with people from Whitby’s past, including a herring girl, 19th-century whaler-man, and Ol Abel Parkin who voyaged with Captain Cook in the 18th century. Visitors who dare to walk into the jaws of the Whale will be surprised to discover their own personal story-telling submarine, with thrilling tales of life at sea sung by submariner, Jonah. Enjoy face painting and balloon making and much much more! Fireworks A spectacular firework display will take place on the West Pier at 10pm, Saturday 18th May. Parking The Whitby Park and Ride, north of Whitby will operate from the first bus at 8am to the last bus from Whitby 6.30pm. A free shuttle bus will operate from Whitby Abbey Pay and Display Car Park from 10am!–!7pm to Langborne Road, every 30 minutes. Normal parking charges apply. www.abbeywharf.co.uk Market Place, Whitby, YO22 4DD T. 01947 600306 At Abbey Wharf we pride ourselves on the excellent level of service and the quality of the food and drinks we serve. All our meals are cooked to order, by our trained chefs, ensuring our guests all enjoy a meal to remember. Specialising in locally sourced fresh fish and local meats, the Abbey Wharf Menu offers something for all tastes. During the festival we will be offering a 2 Course Fish & Ships Special with a bottle of house wine"–"starter and main. 2 Alberts Eatery (Whitby Jet Museum) www.whamond.com/pages/albertsreastaurant Wesley Hall, Church Street, Whitby, YO22 4DE T. 01947 667453 Housed within the walls of Whitby’s historic Wesley Hall, Albert’s restaurant is the place to come for a luxurious dining experience filled with mouth-watering seafood, delicious deserts and fine wine and beers. During the Fish & Ships Festival we will be offering a special seafood themed high tea. East Row, Sandsend, Whitby, YO21 3SU T. 01947 893438 Located in the beautiful and historic village of Sandsend, near Whitby. Classic dishes are our favourites so that’s what we serve, using modern cookery to bring them up to date. Our close relationship with local suppliers and producers ensures that the freshest and most sustainable produce is on your plate. During the Fish & Ships Festival we will be offering a special dish of roast monkfish, crab, mussel & fennel bisque. 31 Baxtergate, Whitby, YO21 1BW T. 01947 501047 codroefishmongers Cod Roe Fishmongers is a family run fishmongers in the heart of Whitby, with fresh local products including Crab and Lobster caught by our family run fishing boat Nazanna. As part of the Fish & Ships Festival we will offer a range of special seafood sandwiches available to purchase across the event. We will have four different varieties. These include Local Whitby Crab, Crayfish and Samphire, Prawn and Smoked Salmon and Cream Cheese. Botham’s was established in Whitby in 1869 by the founder Elizabeth and is still a family bakery with her great grandchildren and great, great grandchildren carrying on in her footsteps. Our Skinner Street premises house the original shop with Edwardian Tea Rooms above. In the shop you can find freshly baked bread, pork pies and savouries, fresh cream cakes and speciality fancy cakes as well as sandwiches and drinks. We make an excellent range of Tea Breads, Bracks and Biscuits with an array of gift items from Whitby to complement the products. During the festival look out for our Fish & Ships themed window dressing. www.estbekhouse.co.uk East Row, Whitby, YO21 3SU T. 01947 893424 Located in the picturesque village of Sandsend, Estbek House is an award winning restaurant and was the first Yorkshire Coast restaurant to be awarded two AA rosettes and has a reputation based on fine seafood’s and accompanying wines, but still serving moorland meat produce and vegetarian options. During the Fish & Ships Festival we will be offering Pan seared Whitby Cod with creamy Champagne & Lobster Sauce at £27.95. www.fishboxwhitby.co.uk 3 Langborne Road, Whitby, YO21 1YN T. 01947 603484 The Fish Box will celebrate the sustainability of our produce and will explain what the MSC does and why its so important to us. We will be running an MSC exhibition between 10am"–"12pm (Saturday) for anyone who wishes to join. We are hoping that a member of the MSC team will join us. We will have informative posters on the wall and leaflets which explain the work of the MSC. For children, we will be giving out MSC stickers and the shop will also be somewhere that children can collect and submit their colouring-in/spot the difference competition entries. Kyhyber Pass, Whitby, YO21 3PZ T. 01947 603500 The Fishermans Wife is located on Khyber Pass overlooking one of the best sea views in Whitby. Using delicious locally sourced ingredients our friendly staff will serve you the freshest fish and seafood cooked to our own recipes. From traditional Fish & Chips to locally caught Whitby Lobsters and a weekly specials board our extensive menu has something for everyone. As part of the Whitby Fish & Ships Festival we will be offering a “The Fisherman’s Wife” seafood medley, pan fried sea bass fillet, North Sea deep fried squid, Scottish salmon with Whitby crab mash and salsa verde. www.fortuneskippers.co.uk 22 Henrietta Street, Whitby, YO22 4DW T. 01947 601659 Whet your appetite by following the distinctive aroma of oak wood and sample authentic Whitby smoked kipper from family business Fortunes, established in 1872. Enjoy a unique viewing of the smokehouse (subject to demand) and awaken your senses to the flavours, tastes and smells of long ago. www.hadleysfishandchips.co.uk 11 Bridge Street, Whitby, YO22 4BG T. 01947 604153 At Hadley’s we’ve been serving the finest fish and chips for over 80 years. Now into the third generation this family run business has perfected the art of fish and chips. So to celebrate Whitby’s Fishing Heritage we are offering this fish platter. So for £15.95 you get to sample cod, haddock, plaice, lemon sole and Whitby scampi served with chips, lemon and our homemade tartare sauce. All this can be washed down with a bottle of Whitby Whaler brewed by the Whitby Brewery. www.harrysloungebar.co.uk 10"–"11 Pier Road, Whitby, YO21 3PU T. 01947 601909 Set against the backdrop of historical Whitby and directly opposite the fish market, Harry’s lounge is perfectly situated to celebrate the fabulous heritage of Whitby’s famous fishing industry. Our chefs work closely with our local fish supplier to offer a diverse menu of seasonal fish and seafood, served in our own famous ‘starter style’. Harry’s is a family run independent restaurant bar and rooms and we are very proud of our reputation for allowing our customers the chance to sample several different dishes and flavours in a relaxed and modern eating style. We are open daily for breakfast through to late evening. Whether you choose to dine more formally in our restaurant, in our more relaxed bar area, or Mediterranean style Al fresco in our outside seating area you are assured a warm and friendly welcome here at Harrys. To celebrate the Fish & Ships Festival we are offering a Fish & Fizz special dish of a ‘Taste of Whitby’ platter of fish & seafood with a glass of Prosecco. The dish will be available during the festival and for the week following. 148"–"149 Church Street, Whitby, YO22 4BH T. 01947 600767 Monks Haven Café is a dog friendly, independent run licensed café specialising in fish and chips and other locally sourced produce. We are open every day from 9am for breakfast, drinks and cake. Lunch is from 11.30am onwards. Fish & Ships Special"–"Whitby Beer Battered Fish & Chips coupled with a Whitby Brewery Beer or a glass of fizz"–"£12.50. A contemporary and modern brasserie serving Whitby’s best cocktails. Our menu has a range of fresh seafood and cajun inspired grills that give our incredible local produce an exciting twist. Our bar sits on the Harbourside and has the best views of St Mary’s church and the Abbey. To honour the great quality and wide variety of seafood available to Whitby restaurants and businesses we have created a range of signature ‘Whitby loaded fries’. For a quick bite to eat, or an accompaniment to one of our delicious dishes, you can sample the best our local suppliers have to offer on top of crispy tasty fries. Light dishes to show the incredible taste of Whitby. Our small team of skilled chefs create exciting, contemporary and mouth watering dishes, using only the finest local produce. Our traditional fish is sustainably sourced and encased in our very own recipe batter, ensuring a light, crisp taste with every fry. Our gluten free batter option boasts the same golden touch, and is equally as delicious. During Fish & Ships Festival, come and enjoy our Fish & Gin Tasting Night! www.misterchipswhitby.co.uk 68"–"69 Church Street, Whitby, YO22 4AS T. 01947 604683 Mister Chips is a family run establishment and since opening in 1981, we have been dedicated to customer satisfaction with the highest quality of food and service available. We are famed for our fish and chips, but we also have a delicious range of speciality chef prepared dishes, available all day. Mister Chips is a full licensed restaurant, and you can enjoy a chilled local beer with your lunch or a fine wine with dinner. We are delighted to be part of the Fish & Ships Festival and will be offering our Posh Fish & Chips with a glass of fizz special. Kiosk 8, Pier Road, Whitby, YO21 3PU Ocean Shellfish are a small family run business offering only the finest shellfish all our crab and lobster are locally sourced and prepared fresh daily by us – come along and try something delicious. During the Fish & Ships Festival we will include a daily special for each day of the festival such as local crab and lobster. Look out for us dressed up in our lobster attire! We will also have crab and lobster decorations for the kiosk and other unique Whitby decorations. The Orlop Restaurant offers a truly unique dining experience on board the HM Bark Endeavour. To celebrate the Fish & Ships Festival we have two fabulous specials on our menu over the weekend and during the following week: a starter of pan steamed Mussels cooked in a garlic, white wine and cream for £6.50 and a main of Cod Loin served with lemon crushed potatoes with a dill and cream sauce for £15.95. The Orlop Restaurant is the only place in Whitby where you can combine enjoying delicious seafood aboard an actual ship! www.quaysidewhitby.co.uk 7 Pier Road, Whitby, YO21 3PU T. 01947 825346 The Fusco family celebrate 20 years at Quayside. We want to share our story with our customers to mark the 20 years that we have owned and managed Quayside. There will be an exhibition style wall to share the highlights of our journey. We will also be running a colouring-in/spot the difference competition for all the children over the course of the festival. Colouring sheets can be collected and submitted at any of our three Whitby shops. The prize for the winner of the colouring-in / spot the difference competition will be a family meal for four. We will also be encouraging our customers to try different species of fish by offering small tasters in the restaurant, while they are choosing their meal. To showcase the incredible fish landed here in Whitby we will be offering a festival special dish celebrating locally caught Mackerel. Our head chef, star of Countryfile and local food hero, has created a flavourful and fresh dish. This sustainable fish is bursting with a beautiful rich flavour and is perfectly paired with a crisp glass of Chablis while you watch the boats sail by. www.trenchersrestaurant.co.uk New Quay Road, Whitby, YO21 1DH T. 01947 603212 Established in 1980, Trenchers of Whitby has cemented itself as a must-visit destination in the North of England thanks to its traditional menu of fish and chips, seafood and British dishes, served all day, everyday throughout the year. Situated on Whitby’s iconic harbour side, Trenchers provides the perfect setting for all of the family and parties of any size with booth seating throughout and friendly service at every visit. During the festival we will be running a local dish of the day with recipes for the specials posted online. Look out for other special activity and demonstrations during the weekend! www.thewhitbydeli.co.uk The Whitby Deli, 22"–"23 Flowergate, Whitby, YO21 3BA T. 01947 229062 The Whitby Deli is situated in the heart of our famous Yorkshire town. Our kitchen serves up a broad range of local produce from our seasonal menu with daily specials which can be enjoyed in our vibrant dining area or taken away with you. As part of the festival we will be serving a Fish & Ships Seafood Sharing Platter for two, paired with a carafe of wine celebrating the best of Whitby and championing the best products. Disclaimer: Whilst every care has been taken to ensure the information contained within this publication is accurate Welcome to Yorkshire, Scarborough Borough Council, Ryedale District Council and the North York Moors National Park Authority cannot accept responsibility in respect of any error, misstatement or alteration which may have occurred. 19 Robertson’s www.robertsonsofwhitby.co.uk 6"–"7 Bridge Street, Whitby, YO22 4BG T. 01947 821576 One of Whitby’s delicious fish and chip restaurants. Robertsons Fish Restaurant has a spacious dining area, waitress service and an alcohol licence. Our menu features all the familiar chip shop favourites and a range of other options. There’s even a dedicated children’s menu and gluten free batter is available. During the Fish & Ships Festival we will offer battered skate wing with chips peas and tartare sauce and battered dog fish goujons with chips peas and tartare sauce. 20 Royal Fisheries www.royalfisherieswhitby.co.uk 48 Baxtergate, Whitby, YO21 1BL T. 01947 604738 Royal Fisheries will be encouraging customers to try different species of fish which they may not normally choose by providing samples of various fish and seafood while they are browsing the menu. The restaurant will be decorated with bunting and will feature the Fish & Ships logo in the windows, as well as sea shantie music in the background. The shop will also be somewhere that children can collect and submit their colouringin/spot the difference competition entries. 21 Sandgate Seafoods www.sandgateseafoodswhitby.com 14"–"15 Sandgate, Whitby, YO22 4DB T. 01947 601844 Sandgate Seafoods is a family run business which has been selling fresh fish and a variety of seafood to the public and businesses for over 30 years. Crab Products, cooked shellfish, lobsters, smoked fish, and marinades all feature heavily in our display as we strive to bring our customers a variety of choice and the chance to try something new. During the Fish & Ships Festival we will be offering our Crab or Salmon Shellfish Platter. 22 Star Inn The Harbour www.starinntheharbour.co.uk Langborne Road, Whitby, YO21 1YN T. 01947 821900 Fish & Ships specials include on the Saturday a North Sea Shellfish Chowder with Ships Biscuits and on Sunday a Surf ‘n’ snout Seared Scottish Sea Scallops with slow cooked belly pork, home-smoked spring cabbage remoulade, baked apple and pig crackling. www.the-marine-hotel.co.uk 13 Marine Parade, Whitby, YO21 3PR T. 01947 605022 The Marine offers relaxed, stylish seaside charm in a stunning location. Join us for breakfast, lunch or dinner. We serve fresh lobsters, crab and oysters daily, along with our signature seafood dishes. The bar and restaurant overlooks the harbour and out to sea, so you can take in the beautiful views whilst dining or drinking and listen to live piano music at the weekend. Special Fish & Ships Festival Set Price Menu 2 Courses £17.99 or 3 Courses £21.99 Starters Whitby Crab Paté with toasted bread and Magpie Aubergine Chutney. Whitby crab surrounded by thick cut chips with a pot of tangy Marie Rose sauce!–!simple but delicious. Seafood Pot. A selection of fresh fish and seafood including clams, crevettes, king scallop, mussels, salmon and haddock cooked and served in a liquor of wine, butter and a hint of garlic with a side of chips. Whitby extra large breaded whole tail scampi and chips. A local classic. Haddock fillet and chips deep fried the traditional way in beef dripping and served with mushy peas. Pan roasted cod with Barlotti beans and deep fried langoustines. Your choice from our extensive dessert menu. Where possible our fish and seafood is sourced from local suppliers like Lockers Fish, L&W Seafood, Lobstore or direct from the boats. Full Menu and Daily Specials also available.